Manitoba may not be sending wildfire fighting crews out west to help with the devastating blaze in Fort McMurray, Alta., but the province says it is sending relief in other ways. 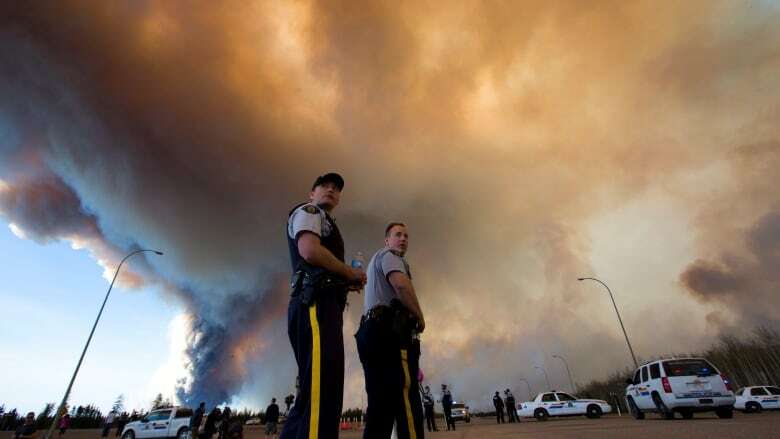 On Wednesday, the province said it wouldn't be sending fire crews to Fort McMurray, as they were needed here at home because the fire threat remains high in Manitoba. On Saturday, the province announced about 20 from a team of more than 100 disaster response professionals are being shipped west this weekend to help relieve some of the pressure on Alberta's emergency crews. Specially-trained members of Manitoba's Urban Search and Rescue (USAR) group and Canada Task Force 4 (CAN TF-4) are among those heading to Alberta. "This highly-skilled team has the capacity to be self-sustaining for up to 10 days in any weather, anywhere in the country," the province said in a statement. Both groups are primarily trained in how to rescue people trapped in collapsed buildings, but the province said they are also versatile enough to provide the kind of help northeastern Alberta desperately needs right now. The move comes at the request of the Alberta Emergency Management Agency, which reached out to Manitoba to assist with the ongoing crisis.